Using a Revolutionary Technology, we have now discovered that Apple Stem Cells hold the answers to healthy, glowing, ageless skin for our face, arms, legs and decolletage. Mibelle Biochemistry has developed a novel technology enabling the cultivation of this rare species. Green Apple Stem Cells: Diminish the appearance of lines and wrinkles, remove dead skin cells, tighten pores, fade age and acne marks, remove blemishes, balance skin tone, re-hydrate skin with proteins and nutrients to alleviate sagging, dry skin. 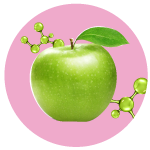 ​ Green Apple: the basis for a liposomal preparation based on the stem cells of a rare Swiss apple. It is known for its excellent storability and thus its longevity potential. Marine collagen is a Type 1 collagen just like 70% of the collagen in your skin. We nano-sized the collagen molecule so it can penetrate through the skin and reach the dermis layer. Collagen applied directly to the dermis layer stimulates numerous types of cells including fibroblasts and keratinocytes to migrate to the damaged skin tissue. When nano-sized marine collagen reaches the dermis layer of your skin, it stimulates collagen production and begins rebuilding the skin. Multiple factors affect the composition of your skin: your environment, your genetics, your lifestyle choices, your age. These factors cause your skin to change in its color, texture, and composition, which in turn impact the way light reflects off of your face. Glow and radiance all come down to light reflection—a rough and blotchy skin surface translates to dull skin; a smooth skin surface (like that of a baby) translates to radiance. 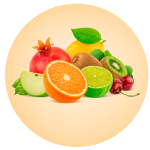 Youthful skin is full of vitamins and minerals—Vitamin C, Vitamin E, and Collagen, to name a few. 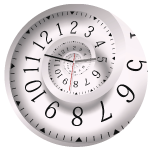 As the skin ages, molecules diminish and vitamin levels decline. Great skincare products incorporate these key molecules back into your skin, and the right ingredients are essential. One of the most effective ingredients in this process is Vitamin C Ester. Vitamin C Ester brightens and smooths your skin tone, minimizes the appearances of discoloration, and helps impart radiance on to your skin. Tocotrienols are a form of ‘super’ Vitamin E – 40 – 60% more powerful than other forms of Vitamin E . Tocotrienols are much more potent than vitamin E itself in protecting the skin against free radical attacks. 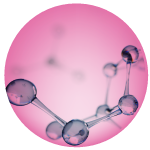 Vitamin E Tocotrienol protects the cell membrane, active enzyme sites, and DNA from free radical damage. It prevents signs of aging including wrinkles and fine lines. Why Does SABRINA Collagen Rx Plus Make Your Skin Simply Beautiful? 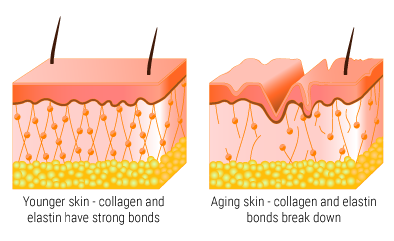 On it’s own, the collagen molecule is extremely large, and unable to penetrate to the dermis level of the skin. Collagen can only be effective if it can reach the dermis layer. This is the problem for other collagen based skin care lines and why Collagen Rx Plus uses Nano Technology to shrink the Collagen Molecule so it can easily be absorbed into the skin and reach the dermis layer. It is then time released and bathes the dermis layer with marine collagen, green apple stem cells, and advanced anti-oxidants. This allows the foundation of the skin to rebuild. Your skin will become softer, more clear, and youthful. High concentration of active ingredients can actually bombard the skin on the surface and cause irritation. SABRINA Collagen Rx Plus protects the active ingredients from dissolving until they reach the lower layers of skin where they are desperately needed. The active ingredients are encapsulated in a liposomal delivery system. When they reach the dermis layer of the skin, they are slowly time released throughout the entire day and night, even under makeup, to rejuvenate and re-hydrate your skin and stimulate collagen production. The same way that you like to go to the farmer’s market and carefully select freshly harvested produce – our scientist travels to specific regions of the world to find and carefully select nutrient rich, organic ingredients that were grown in a bountiful, fertile environment. These hand selected, powerful ingredients make our skin care line so effective – delivering high performance, skin regeneration, and beautiful healthy skin. Your skin will feel softer, look more clear, and youthful. Wrinkles, fine lines, age spots, and acne scars will all begin to disappear. 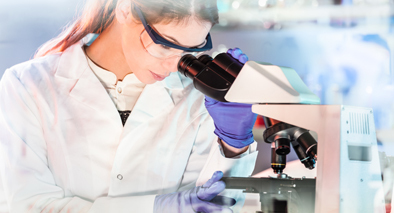 Dr. Albert J. LaTorra, wound care specialist and director of the Collagen Rx clinical trial, stated there is a great deal of cellular and kinetic energy and communication that takes place between the cells. Collagen and elastin, under certain negative “Cellular Stress” eventually leads to a sub-clinical state of inflammation, all cascade to the collagen being destroyed and other cellular functions being disrupted. 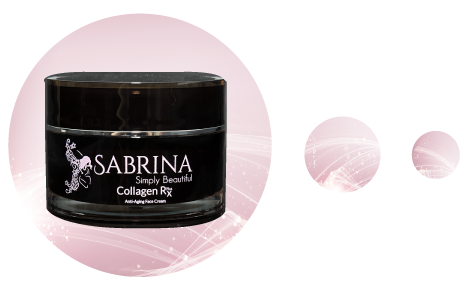 The SABRINA Collagen RX™ Plus anti-aging and anti-wrinkling cream was developed as a result of many years of observing wounds and ulcers and through the knowledge of the biological and physiological activity that takes place at the dermal cell layer, as well as, the knowledge of the nutrients that are needed to nourish and stimulate the wound back to healthy and normal skin. SABRINA Collagen Rx Plus reduces wrinkles on the face, neck, and chest. This patented formula is clinically proven to be the most advanced anti-aging cream to nourish and revitalize the skin due to the aging process. * For best results, exfoliate before you being using SABRINA Collagen Rx Plus, and continue to exfoliate once a week. SABRINA Collagen Rx Plus is manufactured in a USA Pharmaceutical Grade Facility.